CIMsystem will be at next edition of Expodental Rimini 2019, from May 16th to 18th. CIMsystem will take part to next Buldental in Sofia, Bulgaria, from May 15th to 17th. 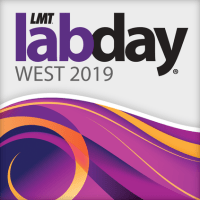 On May 10th and 11th, CIMsystem will be in Garden Grove, California, for LAB DAY West 2019. From March 12th to 16th, CIMsystem headed to IDS 2019 in Cologne, Germany. CIMsystem exhibited at Dental South China 2019, from March 3rd to 6th. CIMsystem exhibited at LAB DAY Chicago 2019, from February 22nd to 23rd. From February 5th to 7th, CIMsystem exhibited at AEEDC 2019 in Dubai.